Couple years ago, I would feature other artists in a segment called “Telling Tuesday’s”. It was fun to explore and discover new treasures. I’m not sure why I stopped. Maybe I was trying so hard to promote myself that I didn’t think promoting others was worth my time and effort. After all of the research I’ve done about blogs and online businesses I know that it is very much worth my time and effort and I’ve decided to start it up again! Rainbows. I love rainbows. 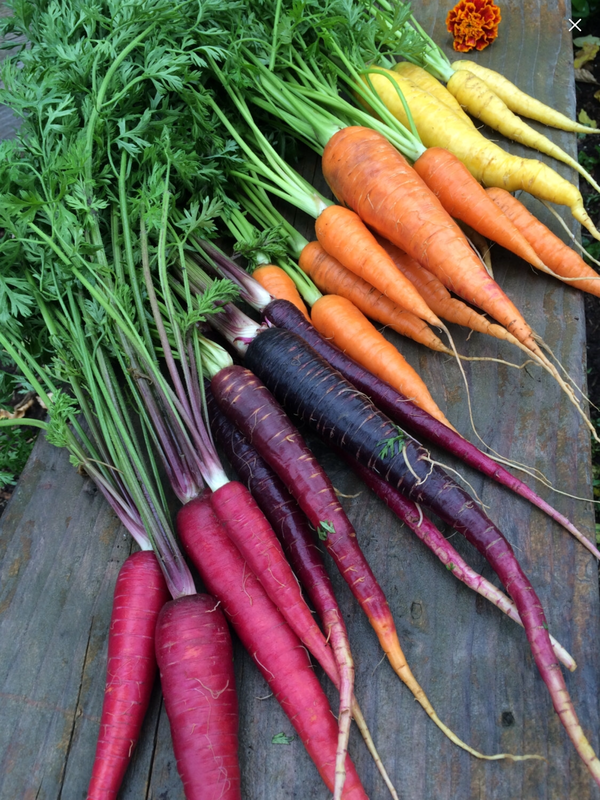 Something about all of the bright vivid colors in an organized gradient order…it makes me happy. After all of the sadness and illnesses I have endured and witnessed the past few weeks, I could use more happiness. I know that our country is going through a very sick time (I’ve heard of schools all over the country detonating “Lysol” bombs and closing for flu and strep). Can’t we all appreciate more happiness? So, this week I am focusing on rainbows. All of my sources come from Pinterest and Etsy. 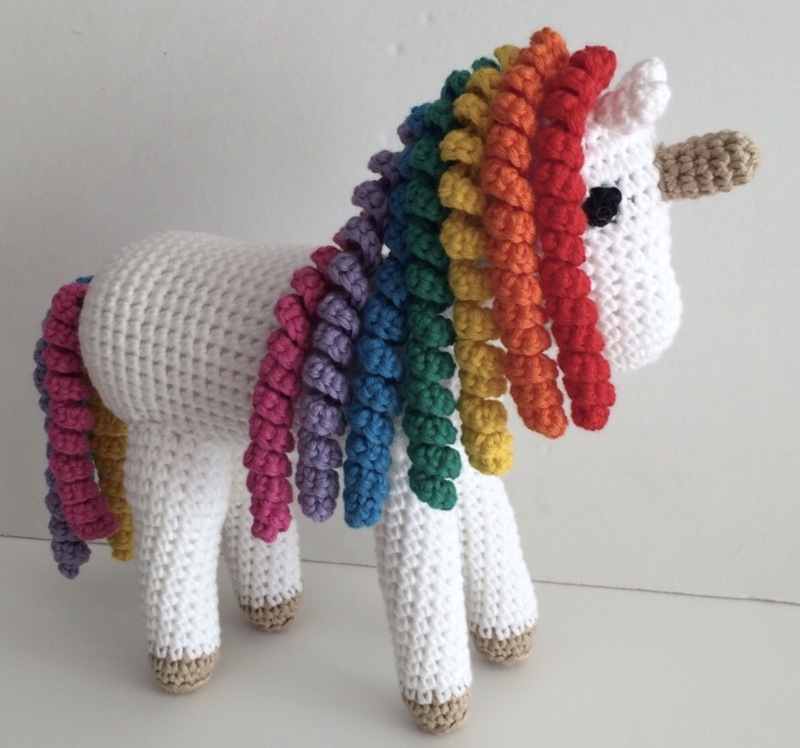 Of course you know I have to dedicate an entire section to crocheted rainbows! The colors, the stitch textures, the different interpretations, the incorporations…so delicious. This adorable unicorn with the curly hair by Strawberrrryy is just precious! How about a vintage dress like this pattern from WonkyZebra. 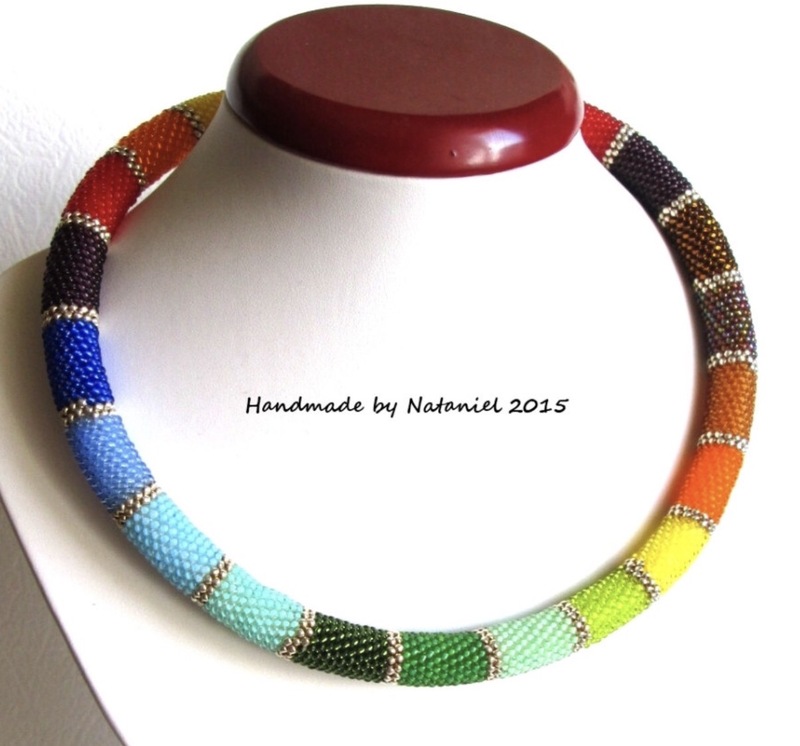 I am in love with this gorgeous beaded necklace by HandmadeByNataniel! This took some time and patience to create. And finally this cute flower garland by StitchedUpCraft…I might have to make one of these for myself! Can you believe that they make edible rainbows?! I’m thinking of flavor explosions of wonderfulness in my mouth. Such vibrant colors, so beautiful. 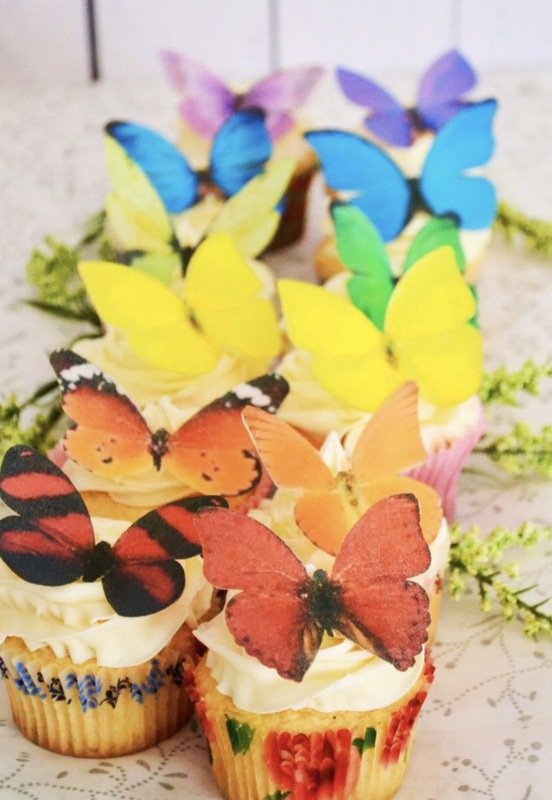 These edible butterflies from SugarRobot look like they can just fly away. 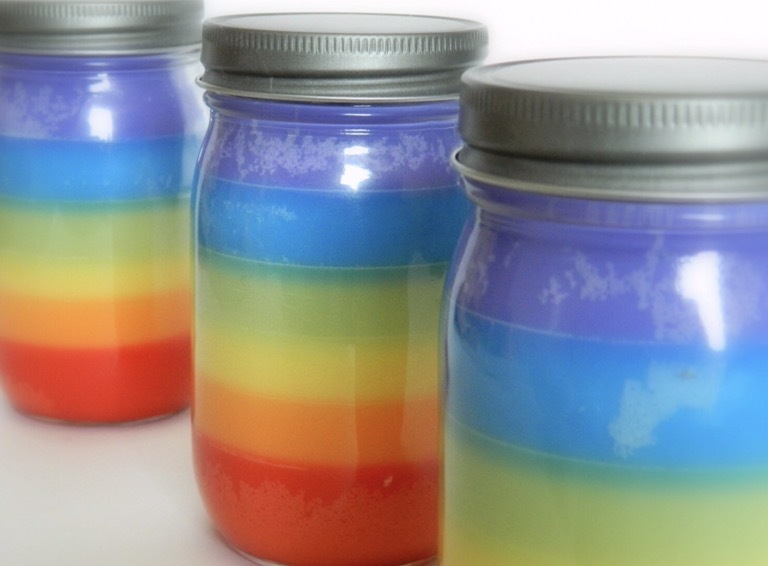 Whatever you are celebrating, rainbow favors are bound to make it more delightful for your guests: from weddings to birthdays to hostess gifts. How about hand-poured candles in adorable mason jars? SoapForYourSoul is responsible for these beauties. 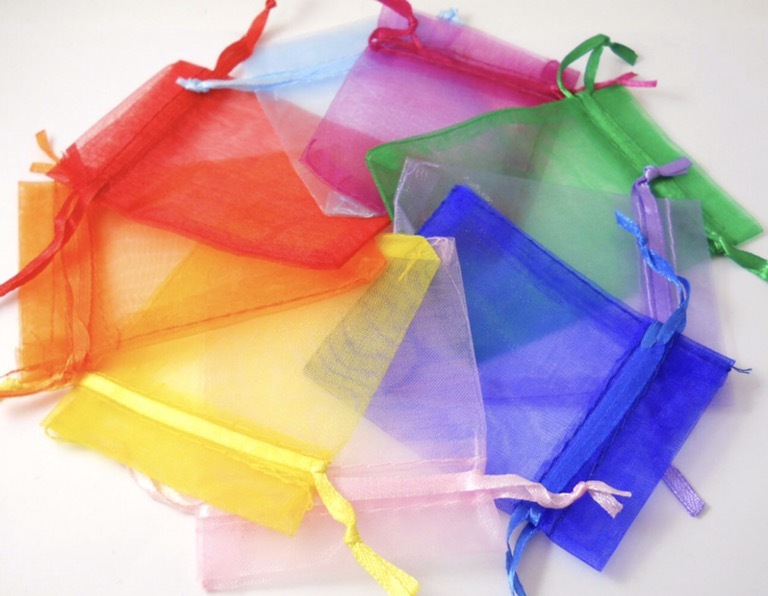 These rainbow organza bags from LoveLettersEtc provide beautiful pops of color and allows personalization with what you can put in them. Who doesn’t appreciate stickers for their party needs? 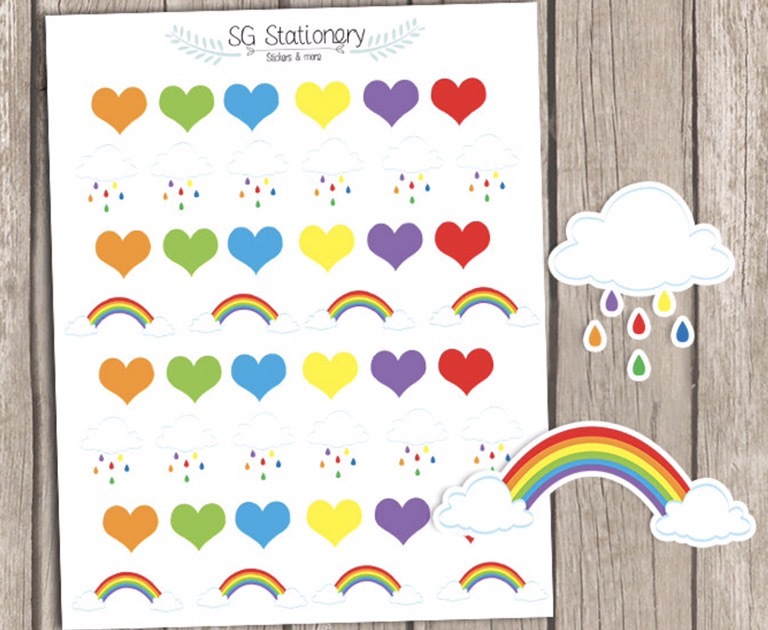 These rainbow and clouds from SGStationary are just perfect! 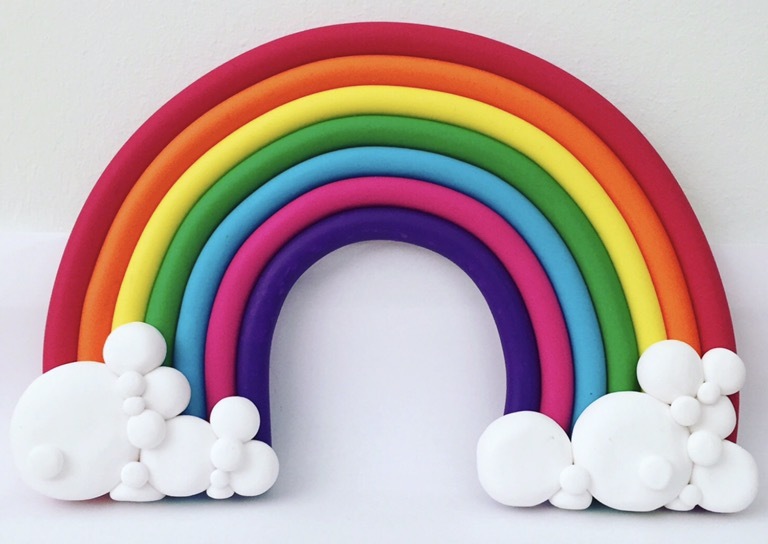 A list of rainbows would be incomplete without being able to make your own! 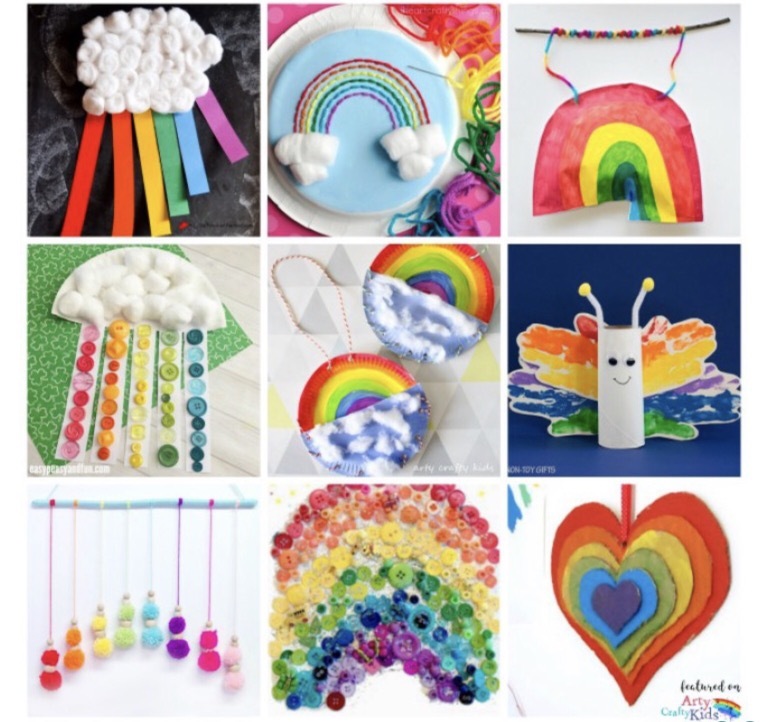 Here are just a few diy rainbow goodness to enjoy. 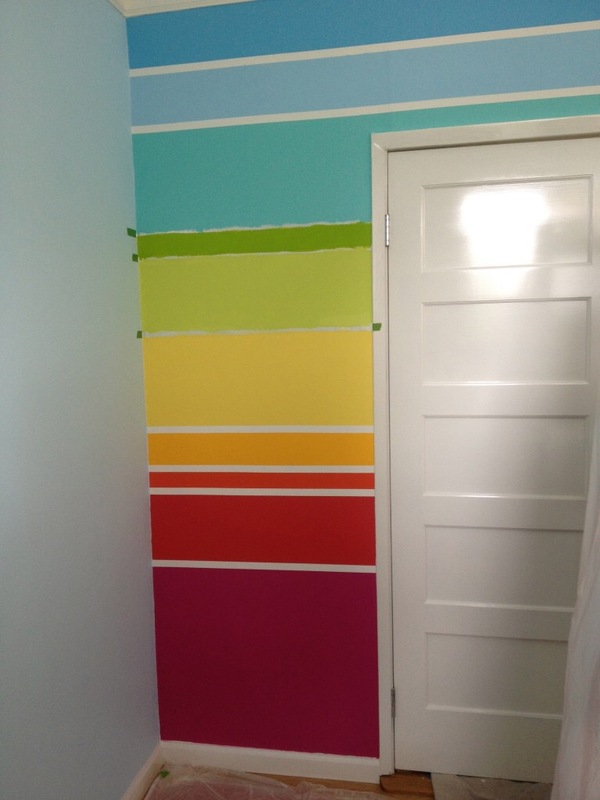 MikeAdamick talks about how to paint a rainbow wall. What kid wouldn’t want this in their room? 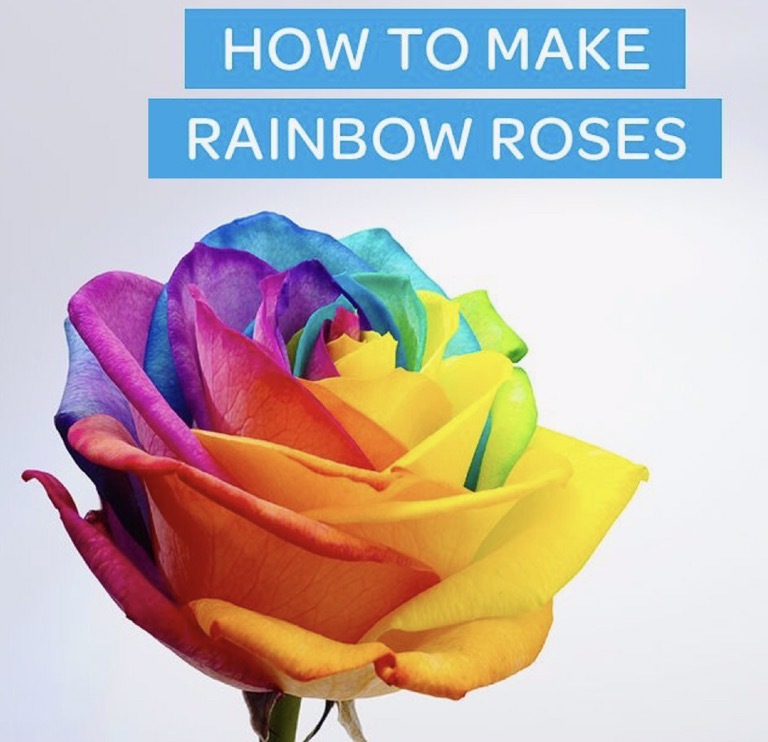 Ziplock explains on their Facebook page how to make these rainbow roses. Whether it actually works or not, I dunno, but the idea is way cool?